Step team chants are a part of the rich tradition of steppin' , the movement art form started in South Africa and spread through African-American and other cultures. Now chants are used as part of cheers all over the world. The art of step team dancing comes from "gumboots" - mine workers in South Africa in the early 1900's who would entertain each other by creating dances in the large rubber boots they wore in the mines. This style of dance was appropriated in the 1940's by the early fraternities in African-American universities in the United States. Drawing on Caribbean and African dance traditions as well, other props such as canes were added. At the same time chants began to be added as well - in some respects imitating the traditional calls and songs of other American fraternities, but with a distinctly African-American feel for both the performers and the audience. According to some participants, there are a few different elements particular to step team chants that have their roots directly in other elements of African-American culture. Calypso, the blues, hip-hop rappers and other forms of spoken-word performance all contributed to both the content and style of the chants. 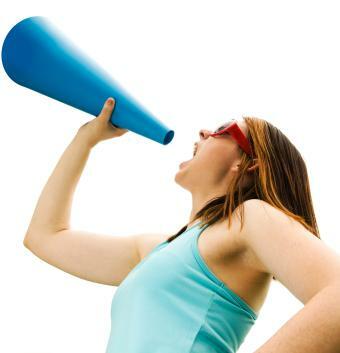 Praise - Whether cheering themselves, their group, or individuals within the fraternity, some chants are particularly used to shout the good qualities of the performers. Insults - Because steppin' is a competitive art, some chants are used to insult (or "dis") members of the other fraternities, either as a whole or singled out. Oral Tradition - Aside from commentary on the current situation, step team chants also provide a kind of oral history of significant people and events. Rhyme and Structure - Rather than simply being a group of song lyrics, chants often use poetic structures, rhymes, and onomatopoeia to accentuate the percussion and movements they perform at the same time as the chanting. The last quality is one of the biggest differences between a step team and a fraternity "sing" - the chanters are not simply standing and singing, they are moving in complex choreography borrowed not just from gumboots but also acrobatics, gymnastics, hip-hop, and even R&B choreography. The point of this precise close-order drill and dance along with the chanting is to celebrate the concept of umoja, the Swahili word for unity. The chants and moves used by the step-teams became an integral part of African-American culture, though many multicultural groups have since adopted the style. However, it is best to do so with attribution and respect for where the chants come from - pop singer Vanilla Ice, for example, supposedly borrowed his famous phrase "Ice-Ice-Baby" from a cheer done by the Alpha Phi Alpha fraternity. Cheerleaders have integrated step team moves and chants into many of their routines. It's an easy fit since combining spoken word cheers and stunts is a common practice. In fact, in the popular cheerleader movie Bring It On the chant "Brrr, it's cold in here!" was featured by both squads. If you want to put step team chants in your repertoire, it's fine to look for examples online, but make sure that you both give credit to the cultural influences and also come up with your own, original cheers in the style of a steppin' chant. "My name is…" (goes on into individual cheer). This chant is just an example; your own school and squad will have their own particular favorite moves and chant phrases. Watching movies such as Stomp the Yard can give you even more ideas, and you'll be steppin' and chanting with the best!